Section106 is a process based project. It is a multi-faceted/hybrid manifestation of a core concept taking diverse forms of realization. The concept of Section106 breaks the mold of current formats for presenting art with a primary focus of engaging the public towards the integrity and content of art work presented. Starting from the present to the projected date of December 2016, Section106 will exist as a growing collaborative project where the public is engaged in its development through open forum discussions, online and in person, and through special events staged throughout the year, indoors and outdoors, with invitations to participate by creators of all fields. Section106 will push forward and broaden the art discourse and invigorate the status quo. Section106’s goal is to integrate diverse practices such as architecture, sound art, food art, community and social intervention, humanitarian actions and environmental concerns to augment the art viewing experience. Section106 will have multiple manifestations, from an invitation to a public dialogue to a presentation of concept drawings and models, from temporary public art interventions to group exhibitions based on collaborative creations. In addition Section106 aims to create a temporary building for it’s final culmination in Miami December 2016. 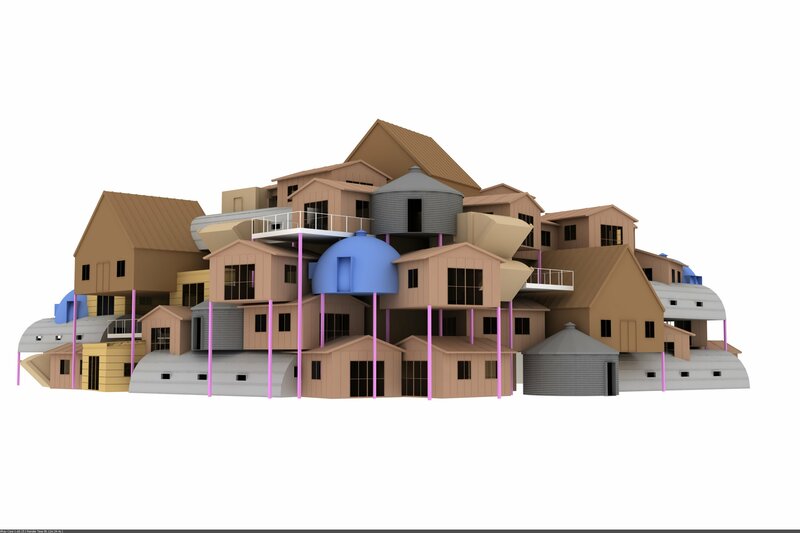 Built out of a simple industrial style scaffoloding, the building will support, as an outer shell, an eclectic arrangement of emergency housing units collected from around the world. To realize this long term goal Section106 will create partnerships with international entities supporting humanitarian efforts and global emergency response groups. Through these partnerships a bridge will be created between the hermetic community of the art world and the context of the art market with the global community and its concerns. Section106 is proposing to create a unique temporary structure to be the venue for the exhibition in December 2016. A World Expo type building, it will have several functions. 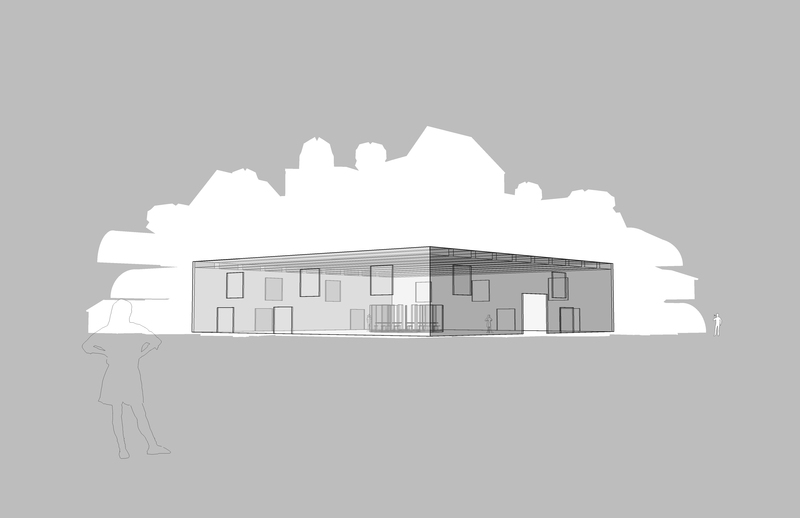 Built out of a simple industrial style scaffoloding, the building will support as an outer shell an eclectic arrangement of collected emergency housing units acquired from around the world. The outer shell of this structure has both functional and aesthetic roles. Some of the units will be used as additional exhibition spaces and some will be used solely as part of the structural outer shell, hence as elements of the whole. The units’ presence within the Section106 event represent issues beyond the sole topic of art, reflecting back to global problems such as global warming and displaced populations. Section106 concept drawing by Archimobile, a first draft concept of the outershell construction. Inside the superstructure/outer shell: a white wall exhibition space, approximately 10,000 square large with 10′ high walls. 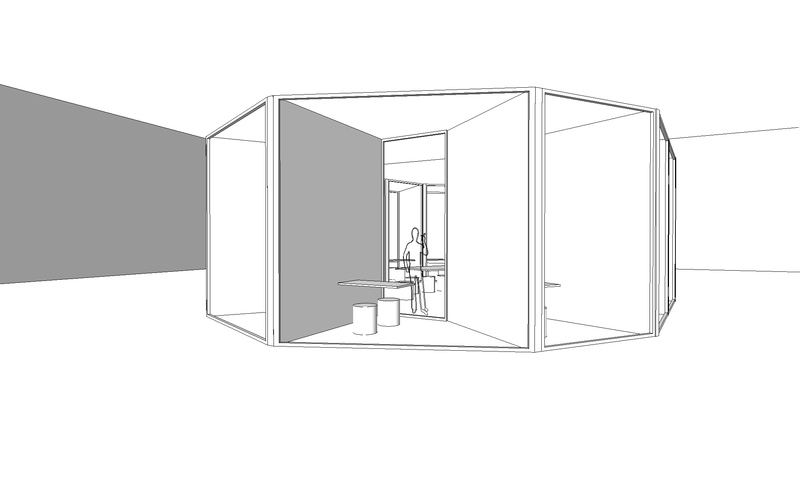 Within this exhibition space, in the middle, a core structure that is transparent yet gives privacy for each gallery to hold biz meetings based on the visual concept of “smoking rooms” in airports. Section106 will invite 13 galleries to share a single exhibition space and engage in a dynamic collaboration with a guest curator. Outer “Sound Shell” for the entire building structure, “Sound walk” for the adjacent park, projected site of Section106 in Miami. Additional public art interventions and performances to be scheduled building on Section106’s underlining political stanse and mission towards social engagement. Section106′s platform combines artistic integrity and commercial goals by means of a hybrid organizational and financial structure. Our mission is to make Section106 accessible to emerging galleries and artists, giving them greater visibility while maintaining a high quality exhibition and environment. Participating Galleries will pay a low participation fee. Additional support for Section106 will be achieved through public sponsorship and private donations, enabled by our fiscal sponsors. Other revenues include ticket sales during and post Miami Art-Basel week, merchandising materials that will highlight the unique structure and special events. An advisory board will be set in place to help in the development and for each edition of Section106. Section106 is an initiative by New York-based organization Radiator Arts (Radical Mediators for the Arts). May 11,2014 Part 2- What is Section106? Lecture outlining the Vision of Section106. With presentation of drawings and 3d renderings of the building and exhibition concept for 2015 and an in-depth discussion of the mission of the project. June 2014. New York. Fundraising exhibition and event. Continued interventions as opportunities arise, development of concept, constant participation of the interested parties (Galleries/ artists curators) in the events by blogging on our website or podcast and by involving all in an ongoing dialogue.